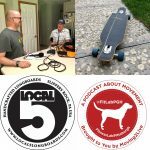 Jeff Smith and Tad Campagna are the Co-Owners of Local 5 Longboards in Slippery Rock, PA. We interviewed Jeff Smith for the FitLabPGH Podcast. Jeff has spent his entire professional career leading trips and educating people about outdoor adventure recreation/education. His extensive experience includes whitewater river guide/trip leader and guide trainer on eastern U.S. rivers and rivers abroad. Jeff has been involved in rock climbing, ice climbing, mountaineering, surfing, SUP, and white water kayaking expeditions in the U.S., Mexico, Central America, the Alps, as well as the Himalayan Mountains of Nepal. In addition, he has served as Coordinator/Counselor of Outdoor programs at Youth Alternatives in North Western Pennsylvania, Coordinator of the “Center for Outdoor Recreational Experience” (CORE) at Edinboro University, and presently is an Assistant Professor of Physical and Health Education with a focus in Outdoor Adventure Education. He also is the Coordinator of the Adventure Fitness Minor at Slippery Rock University. 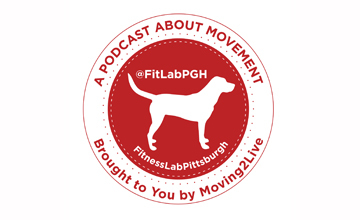 Bill Buskist, PhD, was a guest on our sister podcast Moving2Live, episodes released 3/7/18 and 3/21/18.